And new major expansion of Kosher on campus for all students and visitors. For the past 17 years, the Chabad Center for Jewish Life has been a constant lifeline for students on campus all thanks to Rabbi Dovid and Goldie Tiechtel. The Tiechtel’s have made it their life’s goal to nurture strong connections between students and community members across campus, and their success is quite notable. I’ve had the opportunity to experience firsthand the level of commitment that the Tiechtel’s devote to each and every student here at UIUC Chabad. The Chabad Center for Jewish Life was established in 2003 with a “vision to open the doors of Judaism to all Jewish students and faculty and community members at University of IL and Champaign-Urbana,” according to the Illini Chabad website. Today, the Chabad house serves as a hub for thousands of students who regularly utilize the various resources that the Tiechtel’s offer. 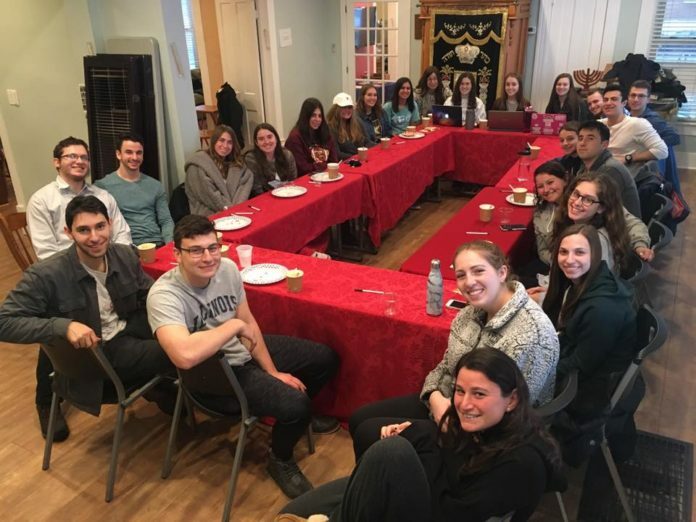 From Shabbat dinners, to study groups, to life discussions with the Rabbi, Chabad’s doors are always open to help students in any way necessary. It’s not uncommon for students to turn to Rabbi Dovid and Goldie in times of need, as one of the Tiechtels’ core traits is to offer support to those seeking to better themselves and the community around them. Working closely with the university, the Tiechtel’s have created strong partnerships with Israel by organizing multiple trips with the business school. Additionally, some of their core programming over the past 17 years has included organizing unique experiences for students. One of the recent highlights was the opportunity to hear Marhe Cohn, a Holocaust survivor speak. The eye-opening event was organized in partnership with the university and had a turnout of 2,500 people. Through forging these connections, not just with students but with other community members, school faculty members and administrators, Chabad has been proactive about spreading Jewish pride throughout campus. “Chabad’s approach is not so too much to speak about anti-Semitism, but to speak about proactive Jewish pride, It’s not about being reactive, it’s about being PROactive” said Rabbi Dovid. Rabbi Dovid feels that it’s important that students become involved with Chabad, now more than ever, in order to instill Jewish pride among students. By enabling students with the tools to deal with anti-semitism on campus, they feel more comfortable when facing people who have contradictory beliefs. Through Chabad run programs such as Israeli Ambassadors, Tech Lounge Interns, and Jewish Greek President committee, students gain the confidence to stand up for what they believe in. Another incredible accomplishment of Rabbi Dovid and Goldie was the kosher meal plan which they implemented over the course of 10 years. What began as serving food once a month to students and faculty eventually evolved into a full-fledged kosher meal plan. There is now a full meal plan of hot kosher lunches and dinners daily. This signified a huge milestone for the overall Jewish life on campus, enabling Jewish students to have a more inclusive college experience. 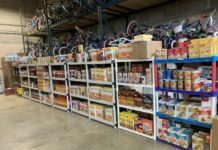 This also helps the many visitors that need kosher, from Chicago and around the world that come to Champaign for work in the central Illinois area. There is also a daily Shachrit service at Chabad and a full Shabbat each week. The impact that Chabad has made on both the Jewish community and the university community over the past 17 years is immeasurable. To what was once a sleepy college town for Jewish life, today is a booming Jewish community. To Rabbi Dovid and Goldie, every human has a story that deserves to be heard. They are committed to making every student feel at home each and every day.